Our express service offers you delivery next working day by close of business plus and is our most cost effective option for next day delivery. 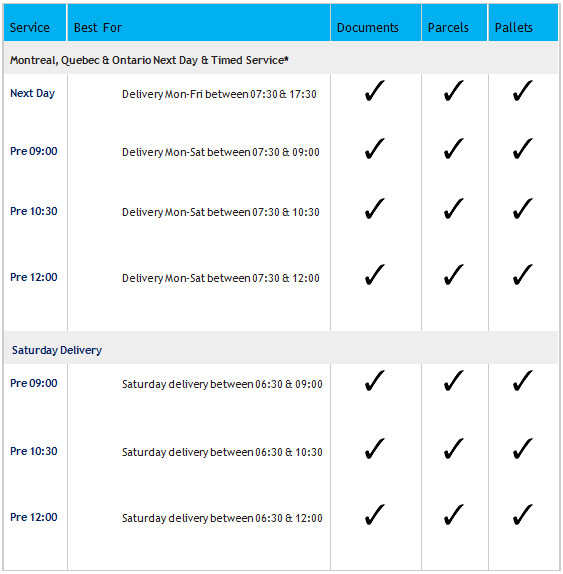 Guaranteed next day deliveries are ideal for companies who send small, medium or large volumes with fairly short deadlines. We will come and collect your parcel from you at no extra cost, or if you pay online and choose to drop your item off at a local Post office branch or an address of your choice, you will get a discount off our standard price. We offer a range of delivery options to get your documents, parcels and pallets where they need to be, safely and on time. You can even track and trace them online, from the moment they leave to the moment they arrive all with POD.